Anyone fancy a trip to Chicago? 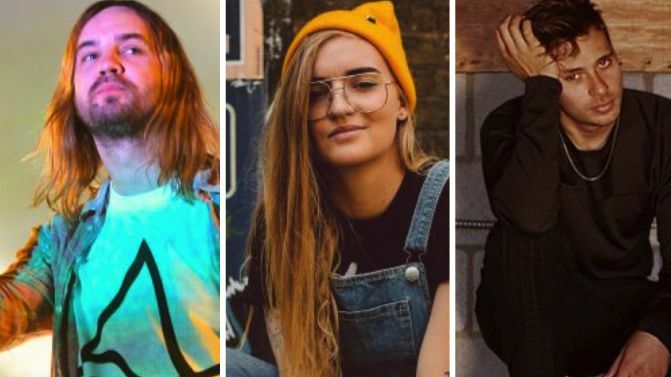 The city’s massive Lollapalooza festival has just announced their gargantuan 2019 lineup and so many homegrown heroes made the bill. Two of the event’s headliners are Tame Impala and Flume, which comes as no surprise as they’re two of the biggest acts in the universe. But further down the bill you’ll find the likes of RÜFÜS DU SOL, Fisher, Dean Lewis, G Flip and Willaris. K all representing Australia. It’s one of the biggest lineups of the year, also headlined by Ariana Grande, Childish Gambino, The Strokes, J Balvin, Twenty One Pilots and The Chainsmokers. Elsewhere on the bill is Janelle Monáe, Kacey Musgraves, Tenacious D, Maggie Rogers, Slash, Mitski and about a hundred more. It’s been a big few weeks for our two Aussie Lolla headliners. Tame Impala are (likely) gearing up to release new music, as Kev and co. are headlining a bunch of festivals across the world and have a musical guest spot on an upcoming episode of Saturday Night Live. Flume, on the other hand, just released a brand new mixtape out of nowhere called Hi This Is Flume.